According to the American Academy of Dermatology, scar formation is part of the natural process of healing. 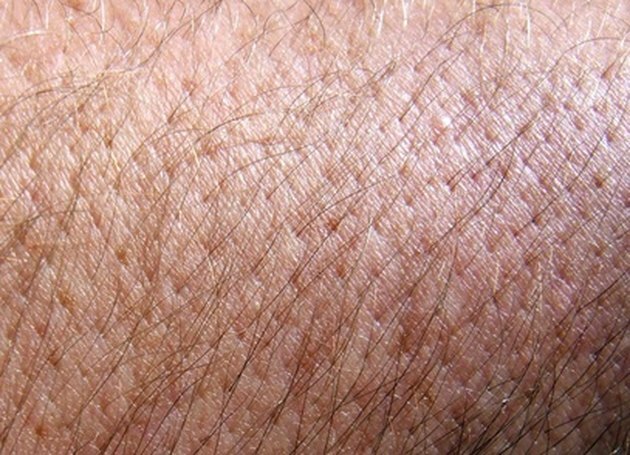 Ironically, younger, healthy skin is more likely to be efficient at this process and form visible, thick scars following a skin injury. Certain over-the-counter preparations can be effective in reducing scars. Consult your dermatologist for more information about which will work best for your skin. Kelo-cote is a quick drying, silicone-based product that has been recommended by the International Advisory Panel on Scar Management. When Kelo-cote dries on the skin, it creates a breathable yet waterproof membrane that helps to smooth, flatten and soften the scar. The product is a first-line treatment for hypertrophic scars and keloids, types of scars in which extra skin dermal tissue builds up following a skin injury. Kelo-cote also can be used on stretch marks, acne scars and chicken pox scars. Scarguard is an over-the-counter preparation made with cortisone, silicone and vitamin E. Designed to be used for up to four months after a wound has healed, it forms a protective coating that helps scars flatten and shrink. A study in the "Aesthetic Surgery Journal" reported that Scarguard may help to increase production of collagenase, an enzyme that helps break down the excess collagen that is responsible for raised scars. Mederma is a widely available scar-removal product whose active ingredient is onion extract. According to a study by Dr Z. Draelos, published in the "Journal of Cosmetic Dermatology," onion extract has both anti-inflammatory and antibacterial properties. This substance may also help with the organization of collagen, a crucial building block of skin and connective tissue. Draelos followed 60 volunteers who had a lesion removed by a dermatologist. After their surgical sites healed for two to three weeks, half of the volunteers used Mederma, while the other half received no scar treatment. Draelos found that the the volunteers who used Mederma had less scarring and a better appearance at the excision site than the control group.